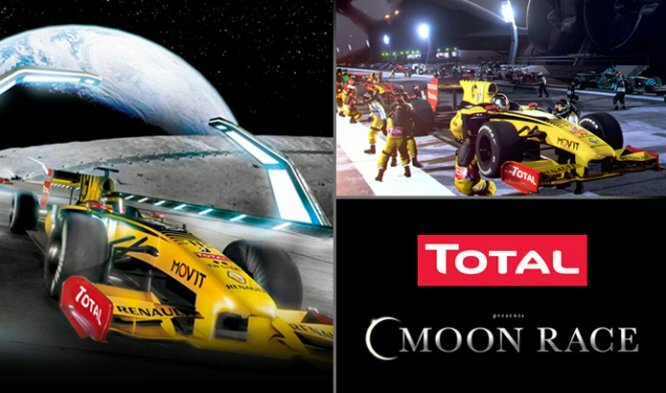 TOTAL’s Moon Race is Go! Have you ever wondered what a Grand Prix would look like on the moon? How 700-horsepower F1 cars would cope with the low-gravity lunar surface? Not to mention how our mechanics would manage pit stops in breathing apparatus? Well, thanks to TOTAL’s new moon race video, you can escape into fantasy and find out. This special video takes you inside the mind of Charlie Sweetheart, a ten-year-old F1 fan who longs to travel into space. His childhood fantasy sees him get behind the wheel of a moon-spec R30 ready for the race of a lifetime. But will he take victory in the very first Moon Grand Prix? You’ll have to visit www.total-moon-race.com to find out. As well as watching the video online, you can also catch the action at selected cinemas in cities around the world, including London, Shanghai and Abu Dhabi. F1 fans should also check out TOTAL’s Moon race website to download exciting content such as wallpapers to customise your desktop. The film is about more than just special effects. The Moon Race symbolizes TOTAL’s assertive commitment to meeting all energy-related challenges. 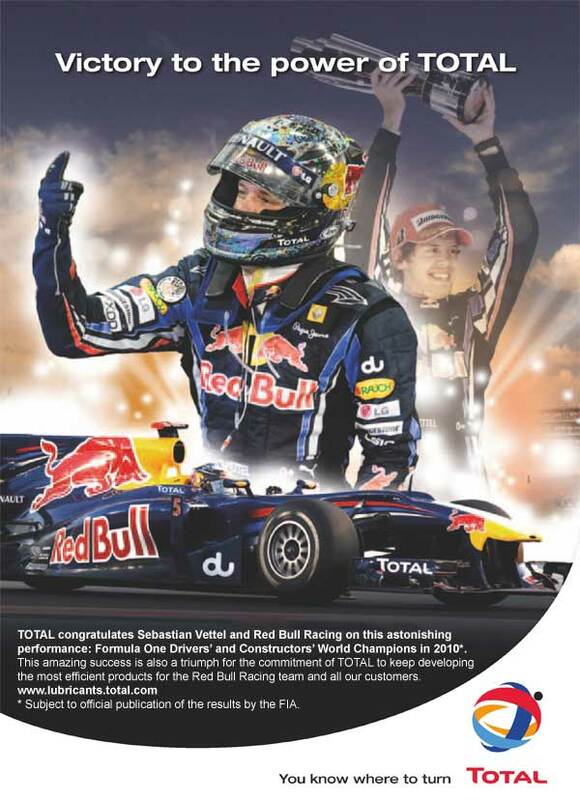 For TOTAL, the Formula One circuit is, above all, a matchless testing ground for tomorrow’s engines and products. Seasons Greetings Please be advised that our offices will be closed from December 24th 2010 and we will re-open for business on January 4th 2011. Should you have an emergency please call Joe MacIsaac at 604-618-3714 and leave a detailed message, Joe will respond promptly to assist you. If you’d like to place a product of service order please call 604-876-0506 and leave us a message, we will take care of your request when we return on the 4th. In lieu of Christmas gifts this season M&R has decided to make a donation to the Burnaby Food Bank to help those in need during these difficult times in our economy. Lastly, the entire staff at M&R would like say; THANK YOU for all of your support during 2010. It really means a lot to all of us that you continue to support our company. We look forward to providing you with our products and services in 2011. Bob has left M&R Environmental to pursue an opportunity on Vancouver Island as the General Manager for Heatherington Industries. Like M&R, Heatherington Industries collects used oil, filters, waste antifreeze, plastic oil containers- plus much more throughout Vancouver Island and the Sunshine Coast. Bob will be based in their Port Alberni head office and will oversee their day to day operations. Bob joined M&R nearly six years ago and in the that time played a critical role in the development of our recycling/reclaiming ethylene glycol program and building the ECO-FREEZ brand in BC and Alberta. On behalf of the entire staff of M&R we wish Bob only the very best in his future endeavors at Heatherington Industries. BALVINDER ‘BAL’ KHAIRA JOINS M&R ENVIRONMENTAL! No, its not April Fools Day and no, you’re not being ‘Punked’. On behalf of the entire M&R team, I am very pleased to announce that Bal has joined us at M&R Environmental Ltd. Over the years Bal has been a very fierce competitor but now brings with him to M&R his over two decades of experience in the environmental waste services industry. Bal’s unique skill sets will be a tremendous asset to our entire organization. Bal will be our Sales Manager-Waste Services and will oversee all sales and service aspects of our used oil, oil filter and plastic oil container business unit. In addition, where he can assist the rest of our sales team in our Total Lubricants, CUDA, R&D and ECO-FREEZ sales and service efforts, he will. M&R Environmental Ltd. is a privately held BC owned and operated environmental company that specializes in the collection and processing of petroleum related wastes. M&R sells ECO-FREEZ Coolants, R&D parts washers, and Karcher CUDA aqueous parts washers. 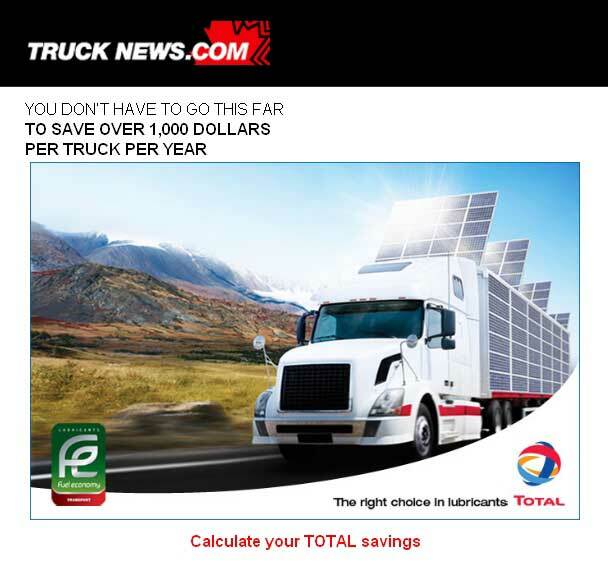 In addition M&R is the BC distributor of Total Lubricants. Total is one of the world’s major oil and gas groups with activities in over 140 countries. Its 100,000 employees put their expertise to work in every part of the industry-exploration, and production of oil and gas, refining and marketing, gas and power trading.